The Kingdom of Italy (Italian: Regno d'Italia; French: Royaume d'Italie) was a kingdom in Northern Italy (formerly the Italian Republic) in personal union with France under Napoleon I. It was fully influenced by revolutionary France and ended with his defeat and fall. Its governance was conducted by Napoleon and his step-son and viceroy Eugène de Beauharnais. The Kingdom of Italy was born on March 17, 1805, when the Italian Republic, whose president was Napoleon Bonaparte, became the Kingdom of Italy, with the same man (now styled Napoleon I) as King of Italy, and the 24-year-old Eugène de Beauharnais his viceroy. 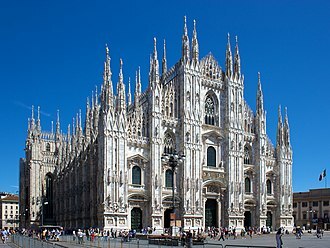 Napoleon I was crowned at the Duomo di Milano, Milan on May 26, with the Iron Crown of Lombardy. 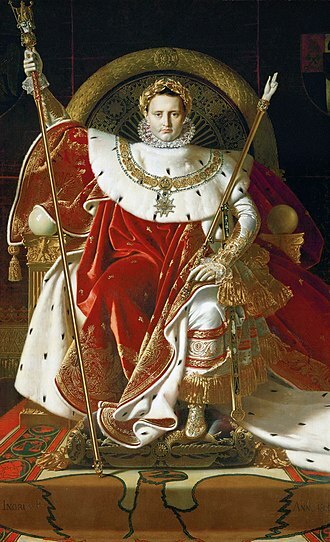 His title was "Emperor of the French and King of Italy" (French: Empereur des Français et Roi d'Italie), showing the importance of this Italian Kingdom for him. Even though the republican Constitution was never formally abolished, a series of Constitutional Statutes completely altered it. The first one was proclaimed two days after the birth of the kingdom, on March 19, when the Consulta declared Napoleon as king and established that one of his natural or adopted sons would succeed him once the Napoleonic Wars were over, and once separated the two thrones were to remain separate. The second one, dating from March 29, and regulated the regency, the Great Officials of the kingdom, and the oaths. The most important was the third, proclaimed on June 5, being the real constitution of the kingdom: Napoleon was the head of State, and had the full powers of government; in his absence, he was represented by the Viceroy, Eugène de Beauharnais. The Consulta, Legislative Council, and Speakers, were all merged in a Council of State, whose opinions became only optional and not binding for the king. The Legislative Body, the old parliament, remained in theory, but it never summoned after 1805; the Napoleonic Code was introduced. The fourth Statute, decided on February 16, 1806, indicated Beauharnais as the heir to the throne. 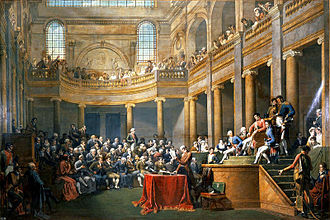 The fifth and the sixth Statutes, on March 21, 1808, separated the Consulta from the Council of State, and renamed it the Senate, with the duty of informing the king about the wishes of the most important subjects. The seventh Statute, on September 21, created a new nobility of dukes, counts and barons; the eighth and the ninth, on March 15, 1810, established the annuity for the members of the royal family. In 1812, a Court of Accounts was added. Minister of Religion was Giovanni Bovara. Originally, the Kingdom consisted of the territories of the Italian Republic: former Duchy of Milan, Duchy of Mantua, Duchy of Modena, the western part of the Republic of Venice, part of the Papal States in Romagna, and the Department of Agogna with Novara as its capital. After the defeat of the Third Coalition and the consequent Treaty of Pressburg, on May 1, 1806, the Kingdom was given by Austria the eastern and remaining part of the Venetian territories, including Istria and Dalmatia down to Kotor (then called Cattaro), even if it had to give Massa and Carrara to Elisa Bonaparte's Principality of Lucca and Piombino. The Duchy of Guastalla was annexed on May 24. With the Convention of Fontainebleau with Austria of October 10, 1807, Italy ceded Monfalcone to Austria and gained Gradisca, putting the new border on the Isonzo River. The conquered Republic of Ragusa was annexed in spring 1808 by General Auguste de Marmont. On April 2, 1808, following the dissolution of the Papal States, the Kingdom annexed the present-day Marches. At its maximum extent, the Kingdom had 6,700,000 inhabitants and was composed by 2,155 communes. The final arrangement arrived after the new defeat of Austria: Emperor Napoleon and King Maximilian I Joseph of Bavaria signed the Treaty of Paris on February 28, 1810, deciding an exchange of territories involving Italy too. On rewards in Germany, Bavaria ceded southern Tirol to the Kingdom of Italy, which in its turn ceded Istria and Dalmatia (with Ragusa) to France, incorporating the Adriatic territories into newly created the French Illyrian Provinces. Small changes to the borders between Italy and France in Garfagnana and Friuli came in act on August 5, 1811. In practice, the Kingdom was a dependency of the French Empire. The Kingdom served as a theater in Napoleon's operations against Austria during the wars of the various coalitions. Trading with the United Kingdom was forbidden. The kingdom was given a new national currency, replacing the local coins circulating in the country: the Italian lira, of the same size, weight, and metal of the French franc. Mintage being decided by Napoleon with an imperial decree on March 21, 1806, the production of the new coins began in 1807. The monetary unit was the silver lira, which was 5 grams heavy. There were multiples of £2 (10 grams of silver) and £5 (25 grams of silver), and precious coins of £20 (6.45 grams of gold) and £40 (12.9 grams of gold). The lira was basically divided in 100 cents, and there were coins of 1 cent (2.1 grams of copper), 3 cents (6.3 grams of copper), and 10 cents (2 grams of poor silver), but following the tradition, there was a division in 20 soldi, with coins of 1 soldo (10.5 grams of copper, in practice 5 cents), 5 soldi (1.25 grams of silver), 10 soldi (2.5 grams of silver), and 15 soldi (3.75 grams of silver). The army of the kingdom, inserted into the Grande Armée, took part in all of Napoleon's campaigns. In the course of its existence from 1805 to 1814 the Kingdom of Italy provided Napoleon I with roughly around 200,000 soldiers. In 1805 Italian troops served on garrison duty along the English Channel, during 1806-1807 they took part in the sieges of Kolberg and Danzig and fought in Dalmatia. From 1808 to 1813 whole Italian divisions served in Spain, especially distinguishing themselves under Suchet at Tarragona and Saguntum. 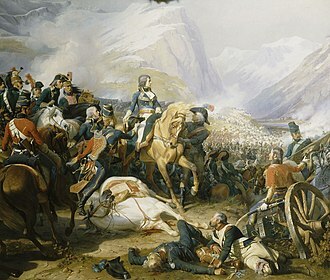 In 1809, Eugène's Army of Italy formed the right wing of Napoleon I's invasion of the Austrian Empire, winning a considerable victory at Raab and having a respectable share in the victory at Wagram. "The Italian army had displayed qualities which entitled it evermore to take rank amongst the bravest troops of Europe." Only 1,000-2,000 Italians survived the Russian campaign, but they returned with most of their banners secured. 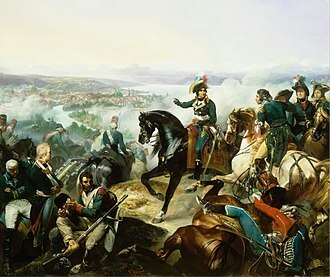 In 1813, Eugène de Beauharnais held out as long as possible against the onslaught of the Austrians (Battle of the Mincio) and was later forced to sign an armistice in February 1814. Line infantry: five regiments from the Italian Republic, with two more later raised, in 1805 and 1808. Light infantry: three regiments from the Italian Republic, plus another one raised in 1811. Royal Guard: two battalions from the Italian Republic (Granatieri and Cacciatori), plus other two (Velites) raised in 1806, plus two battalions of young guard raised in 1810, and another two raised in 1811. Dragoons: two regiments from the Italian Republic. 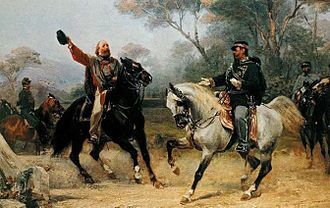 Cacciatori a Cavallo (light horse): one regiment from the Italian Republic, plus three others, raised in 1808, 1810, and 1811. Royal Guard: two squadrons of dragoons, five companies of Guards of Honour. The administrative system of the Kingdom was firstly drawn by a law on June 8, 1805. The state was divided, following the French system, in 14 départements, the twelve ones inherited from the republican era plus Adda (Sondrio) and Adige (Verona). The chief of the department, the prefect, was the State's representative in each province, improved the administrative decisions of the central government, controlled the local authorities, led of the police and, differently from the republican era, had all the executive powers in its territory. The local legislative body was the General Council, composed by the representatives of the communes. 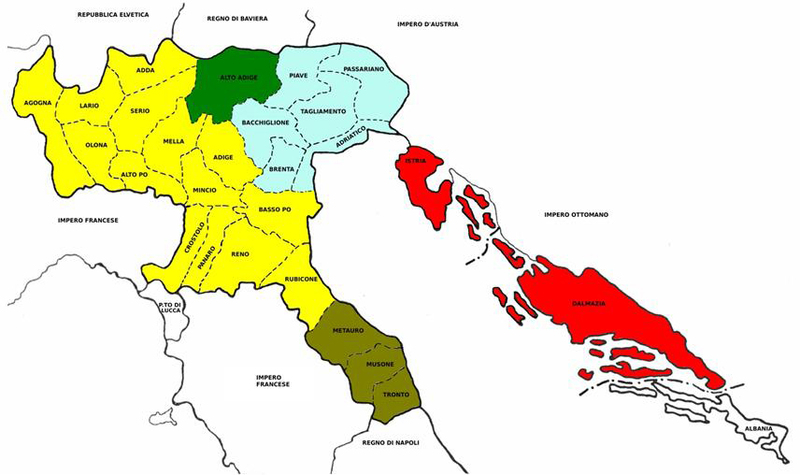 The departments were divided in districts, equivalent to the French arrondissements. The chief of the district was the vice-prefect, which had similar powers to the prefect, but over a smaller area. The local legislative body was the District Council, composed by eleven members. The districts were divided, as in France, in cantons, seats of Tax collectors and Justices of the peace. The cantons were divided in communes. The communes had a City Council (Consiglio Comunale) of fifteen, thirty or forty members, chosen by the king or the prefect depending by the commune size. The Council elected two, four or six Elders for the ordinary administration, helped by a City Secretary. The chief of biggest communes was the royal Podestà, when in smaller communes there was a prefectoral Mayor. All the city offices were held only by owners and traders, and the leadership of the owners was assured. During the kingdom's life, the administrative system of the State changed for domestic and international reasons. Following the defeat of Austria and the Treaty of Pressburg, Napoleon annexed to Italy the territory of former Republic of Venice, as announced on March 30, 1806, and ratified on May 1. Seven new departments were created, six in the Venetian mainland, and one in Istria (Capodistria), whereas Dalmatia received special institutions led by the General Provider Mr. Dandolo, and maintained its own laws. On July 14, 1807, the government passed a decree that reduced the number of the communes. Following the dissolution of the Papal States, the kingdom was extended along the Adriatic coast, and on April 20, 1808, three new departments were established. The final territorial change came in action on June 10, 1810, when, as announced by Napoleon on previous May 28, Italy lost Istria and the never fully incorporated Dalmatia, gaining as reward all the southern Tirol up to the city of Bolzano, creating the 24th and last department: Haut Adige. The language used officially in the Kingdom of Italy was Italian. The French language was used for ceremonies and in all relationships with France. Education was made universal for all children, which was also conducted in Italian. By decree of the governor Vincenzo Dandolo, this was so even in Istria and Dalmatia, where local populations were more heterogeneous. During its last maximum extension (from 1809 to 1814), the Kingdom lost Istria/Dalmatia but got added Bolzano/Alto Adige and consisted of 24 departments. When Napoleon abdicated to both the thrones of France and Italy on April 11, 1814, Eugène de Beauharnais was lined up the Mincio River with his army against the German invasion, and he attempted to be crowned king. The Senate of the Kingdom was summoned on April 17, but the senators showed themselves undecided in that chaotic situation. When a second session of the assembly took place on April 20, the Milan insurrection foiled the Viceroy's plan. In the riots, finance minister Count Giuseppe Prina was massacred by the crowd, and the Great Electors disbanded the Senate and called the Austrian forces to protect the city, while a Provisional Regency Government under the presidency of Carlo Verri was appointed. Eugène surrendered on April 23, and was exiled to Bavaria by the Austrians, who occupied Milan on April 28. On April 26, the Empire appointed Annibale Sommariva as Imperial Commissioner of Lombardy, while many taxes were abolished or reduced by the Provisional Regency. Finally, on May 25, the Supreme Imperial Commissioner Count Heinrich von Bellegarde took all the powers in Lombardy, and former monarchies in Modena, Romagna and Piedmont were gradually re-established; on May 30, the Treaty of Paris was signed, and the remains of the kingdom were annexed by the Austrian Empire, as announced by Count Bellegarde on June 12. 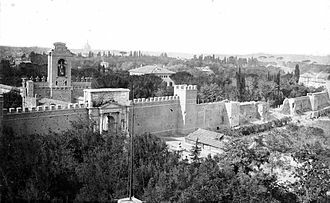 Wikimedia Commons has media related to Napoleonic Kingdom of Italy. ^ Napoleon Bonaparte, "The Economy of the Empire in Italy: Instructions from Napoleon to Eugène, Viceroy of Italy," Exploring the European Past: Texts & Images, Second Edition, ed. Timothy E. Gregory (Mason: Thomson, 2007), 65-66. ^ Sarti, Roland (2004). Italy: a reference guide from the Renaissance to the Present. New York. 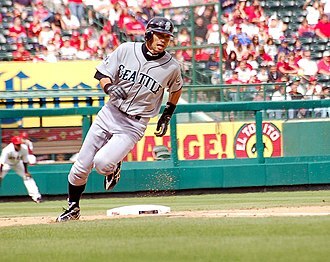 ^ Gregory, Desmond (2001). Napoleon's Italy: Desmond Gregory. AUP Cranbury. ^ a b Elting, John R. (1988). Swords around a throne. New York. ^ Scott, Sir Walter (1843). Life of Napoleon Buonaparte: Vol.4. Edinburgh. ^ Thiers, Adolphe (1856). History of the consulate and the empire of France under Napoleon: Vol.13. London. ^ Arnold, James R. (1995). Napoleon conquers Austria: the 1809 campaign for Vienna. Westport. ^ a b John A. Davis, Paul Ginsborg (1991). Society and Politics in the Age of the Risorgimento. Cambridge. ^ a b Encyclopædia Britannica (1972). Encyclopædia Britannica: Vol.1. Chicago. ^ Fremont-Barnes, Gregory (2006). The encyclopedia of the French revolutionary and Napoleonic Wars: Vol.1. 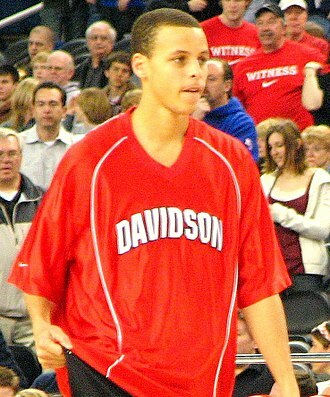 Santa Barbara. ^ Wilson, Sir Robert Thomas (1860). Narrative of events during the invasion of Russia by Napoleon Bonaparte. London. ^ Montagu, Violette M. (1913). 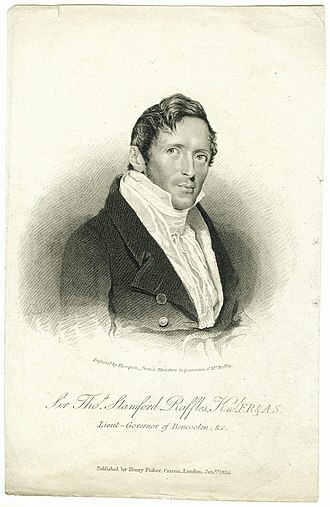 Eugène de Beauharnais: the adopted son of Napoleon. London. ^ Jaques, Tony (2007). Dictionary of Battles and Sieges: A-E. Westport. ^ Historical name changes can create confusion: the present-day Italian province of South Tyrol (called in Italian Alto Adige) does not cover the same area as the Napoleonic Alto Adige, which mainly correspondeds to the province of Trentino including the city of Bolzano with its Southern surroundings. The Iron Crown of Lombardy is both a reliquary and one of the oldest royal insignias of Christendom. It was made in the Early Middle Ages, consisting of a circlet of gold fitted around a silver band. The crown became one of the symbols of the Kingdom of the Lombards and it is kept in the Cathedral of Monza, outside Milan. The Iron Crown is so called because it was believed to contain a one centimetre-wide band of iron within it, the outer circlet of the crown is made of six segments of beaten gold, partly enameled, joined together by hinges. It is set with twenty-two gemstones that stand out in relief, in the form of crosses and its small size and hinged construction have suggested to some that it was originally a large armlet or perhaps a votive crown. According to other opinions, the size is due to a readjustment after the loss of two segments, as described in historical documents. According to tradition, the nail was first given to Emperor Constantine I by his mother St. Helena and she used her nail as part of her crown, the famous Iron Crown of Lombardy. It is unclear when the nail was incorporated into a crown, legends involve Theodelinda, the queen of the Lombards, who resided at Monza in the late 6th century, converting the Lombards to Christianity. Theodelinda supposedly donated the crown to the Italian church at Monza in 628, ambrose in his funeral oration De obituu Theosdosii. 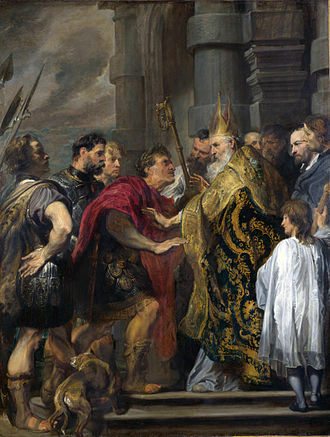 The Byzantines sent him the diadem, holding the helmet, King Theoderic adopted the diadem gemmis insignitum, quas pretiosior ferro innexacrucis redemptoris divinae gemma connecteretas as his crown. This is the Iron Crown, passed by the Goths to the Lombards when they invaded Italy, in some accounts, the crown was used in Charlemagnes coronation as King of the Lombards. Contemporary or nearly contemporary accounts of the initiations of the kings of the Lombards stress the importance of the kings tholding the holy lance. The crown was certainly in use for the coronation of the kings of Italy by the 14th century, old research dates the crown to the 8th or early 9th century. The Republic of Ragusa was a maritime republic centered on the city of Dubrovnik in Dalmatia that existed from 1358 to 1808. It reached its peak in the 15th and the 16th centuries, before being conquered by Napoleons French Empire. It had a population of about 30,000 people, out of whom 5,000 lived within the city walls and its motto was Non bene pro toto libertas venditur auro, which translated from Latin means Liberty is not well sold for all the gold. Originally named Communitas Ragusina, in the 14th century it was renamed Respublica Ragusina, in Italian it is called Repubblica di Ragusa, in Croatian it is called Dubrovačka Republika. The Croatian name Dubrovnik is derived from the word dubrava, an oak grove, by a folk etymology. It came into use alongside Ragusa as early as the 14th century, the Latin and Dalmatian name Ragusa derives its name from Lausa, it was altered in Rausium, Rhagusium or Ragusium or Rausia and finally into Ragusa. The official change of name from Ragusa to Dubrovnik came into effect under Austria-Hungary and it is known in historiography as the Republic of Ragusa. In the 15th century the Ragusan republic acquired the islands of Korčula, Brač, however they had to be given up due to the resistance of local minor aristocrats sympathizing with Venice which was granting them some privileges. In the 16th century administrative units of the Republic were, the City of Ragusa and Mljet were semi-autonomous communities each having its own Statute. Some of the survivors moved 25 kilometres north to an island near the coast where they founded a new settlement. It has been claimed that a raid by the Slavs in 656 resulted in the total destruction of Epidaurum. Slavs, including Croats and Serbs, settled along the coast in the 7th century, the Slavs named their settlement Dubrovnik. The Romance and Slavs held each other antagonistically, though by the 12th century the two settlements had merged, the channel that divided the city was filled creating the present-day main street which became the city centre. Thus, Dubrovnik became the Croatian name for the united town, there are recent theories based on excavations that the city was established much earlier, at least in the 5th and possibly to the Ancient Greek period. The Italian Republic was a short-lived republic located in Northern Italy. Napoleon served as President and its capital was Milan, the Italian Republic was the successor of the Cisalpine Republic, which changed its constitution to allow the French First Consul Napoleon to become its president. The new constitution changed the name of the state to the Italian Republic, it consisted of the areas that had comprised the Cisalpine Republic, primarily Lombardy. The republic had a territory of more than 42,500 square kilometers, Milan was the capital city, the main center having 124,000 inhabitants in 1764. The country was prosperous despite the plundering experienced in preceding centuries and its economy was based on cereal agriculture and cattling, plus flourishing small industries, notably the production of silk. The flag of the Italian Republic maintained the three Italian-Milanese national colours, but with a new, less revolutionary, the coat of arms was specified in a decree on May 13,1802. A treaty of friendship and commerce with the Republic of San Marino was signed on June 10,1802, all the colleges elected a commission of control and supreme rule, called the Censorship, composed of twenty-one members and based in Cremona. The head of state was the president of the republic, Napoleon Bonaparte, the vice-president, Francesco Melzi dEril, acted for the president during his absence. Melzi was described as a gentleman, and effectively ruled over the domestic affairs during the three years of the republics life. Melzi introduced obligatory conscription to Italy, the Consulta was a commission of eight members led by the president of the republic and in charge of foreign policy. The commissioners were appointed by the Censorship upon nomination by the three colleges, many members of the Directory of the Cisalpine Republic entered into office. The Consulta ratified treaties, approved any special decrees concerning state security, the minister of foreign affairs was chosen from among the commissioners. Note, this article is one of a set, describing coronations around the world. For general information related to all coronations, please see the umbrella article Coronation, coronations in Europe were previously held in the monarchies of Europe. The United Kingdom is the monarchy in Europe that still practices coronation. All other countries have become republics or replaced the coronation with an inauguration ceremony, King Zog I, self-proclaimed monarch of Albania, was ritually crowned on 1 September 1928. His coronation attire included rose-colored breeches, gold spurs, and a gold crown weighing seven pounds ten ounces, Europes only Muslim king swore a required constitutional oath on the Bible and the Quran, symbolizing his desire to unify his country. Zog was forced into exile by Italian invaders in 1939, Emperors of Austria were never crowned, as a coronation was not viewed as being necessary to legitimize their rule in that country. 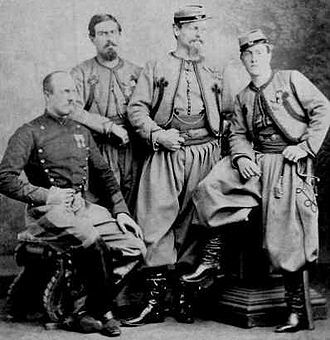 However, they were crowned in some kingdoms within the Austrian Empire, after the Austro-Hungarian Compromise of 1867, the Emperors of Austria were only crowned as King of Hungary, Franz-Joseph I in 1867 and Charles I in 1916. A kingdom from 1806–1918, Bavaria possessed its own set of crown jewels, there was no coronation ceremony, and the king never wore the crown in public. Rather, it was placed on a cushion at his feet, the Bavarian monarchy was abolished in 1918. Belgium has no crown, the formal installation requires only a solemn oath on the constitution in parliament. Lahaut was found dead a week later, during the enthronement of Albert II, legislator Jean-Pierre Van Rossem cried Leve de republiek, Vive la république européenne, Vive Lahaut. Van Rossem was shouted down by the others, but did not suffer the fate as Lahaut. 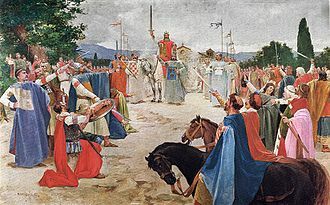 Vratislaus II of Bohemia was the first crowned ruler of Bohemia, during the Middle Ages, it was held that enthronement would make a person Duke of Bohemia and that only coronation would make a person King of Bohemia. St. Vitus Cathedral was the coronation church, monarchs of Bohemia were crowned with the Crown of Saint Wenceslas and invested with royal insignia, among which a cap or mitre and a lance were specific for Bohemian coronations. 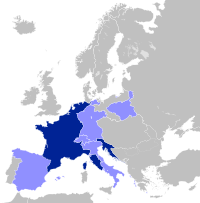 The Treaty of Fontainebleau was an agreement established in Fontainebleau, France, on 11 April 1814, between Napoleon I and representatives from the Austrian Empire and Prussia. 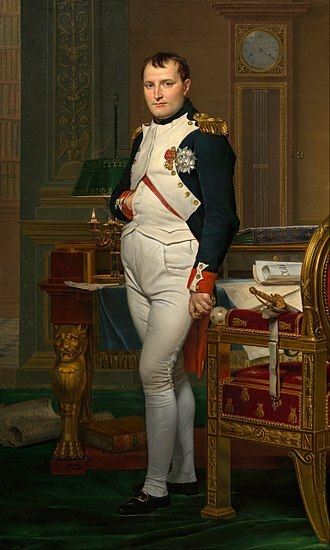 The treaty was signed at Paris on 11 April, by the plenipotentiaries of both sides, and ratified by Napoleon on 13 April, with this treaty, the allies ended Napoleons rule as emperor of France and sent him into exile on Elba. 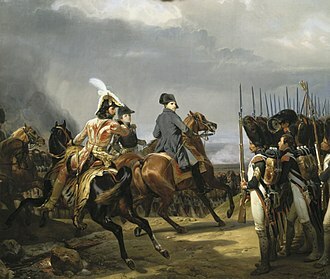 In the War of the Sixth Coalition, a coalition of Austria, Russia, the United Kingdom and a number of German states, drove Napoleon out of Germany in 1813. On 31 March, the Coalition powers issued a declaration to the French nation, The allied powers having occupied Paris, the intentions which I have just expressed are common to me with all the allied powers. Alexander, Paris, 31st March 1814, Three P. M, the next day the French Senate agreed to the Coalitions terms and passed a resolution deposing Napoleon. They passed a decree dated 5 April, justifying their actions, Napoleon Buonaparte is cast down from the throne, and the right of succession in his family is abolished. The French people and army are absolved from their oath of fidelity to him, the present decree shall be transmitted to the departments and armies, and proclaimed immediately in all the quarters of the capital. During 3 April 1814, word reached Napoleon who was at the Palace of Fontainebleau that the French Senate had dethroned him. 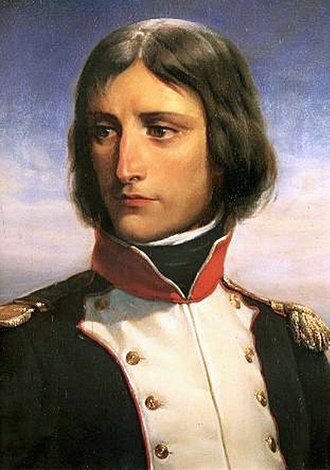 While the plenipotentiaries were travelling to deliver their message, Napoleon heard that Auguste Marmont had placed his corps in a hopeless position and that their surrender was inevitable. The Coalition sovereigns were in no mood to compromise and rejected Napoleons offer, A regency with the Empress and her son, sounds well, I admit, in vain will he promise to remain quiet in the retreat which will be assigned to him. You know even better than I his devouring activity, his ambition, some fine morning he will put himself at the head of the regency, or in its place, the war will recommence, and all Europe will be on fire. The very dread of such an occurrence will oblige the Allies to keep their armies on foot, and thus frustrate all their intentions in making peace. 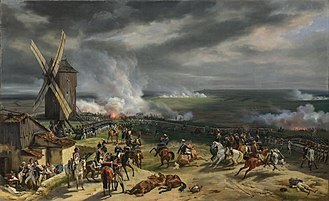 It established peace between France and the United Kingdom of Great Britain and Ireland, Russia and Prussia, who in March had defined their common war aim in Chaumont. The Treaty was signed by Portugal and Sweden while Spain signed shortly after in July, Peace talks had started on 9 May between Talleyrand, who negotiated with the allies of Chaumont on behalf of the exiled Bourbon king Louis XVIII of France. 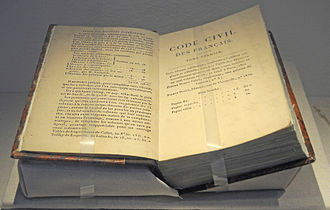 The allies had agreed to reduce France to her 1792 borders, the allied parties did not sign a common document, but instead concluded separate treaties with France allowing for specific amendments. This provision resulted in the Congress of Vienna, held between September 1814 and June 1815, the treaty reapportioned several territories amongst various countries. Most notably, France retained all of the territory which it possessed as of 1 January 1792 and these included Guadeloupe, which had been ceded to Sweden by Britain when she entered the coalition. In return, Sweden was compensated 24 million francs and this gave rise to the Guadeloupe Fund. The only exceptions to this were Tobago, St. Lucia, Great Britain kept sovereignty over the island of Malta. The treaty returned to Spain the territory of San Domingo that had transferred to France by the Treaty of Basel in 1795. This implicitly recognised French sovereignty over Saint-Domingue, which Dessalines had proclaimed independent under the name of Haiti, France only recognised the independence of Haiti in 1838. The treaty reinstated the Bourbon monarchy in France, in the person of Louis XVIII, the treaty aimed to abolish the French slave trade, but not slavery, over a five-year period, and formally recognized the independence of Switzerland. Several powers, despite the intentions of the treaty, still feared a reassertion of French power. With this in mind, the territories strengthened themselves for protection, the House of Orange, which united Belgium and the Netherlands, was created to strengthen the two aforementioned countries in case of a French attack. Many German states had been consolidated by Napoleon, and they retained this status, while Prussia gained territory in western Germany, in Italy, several different political entities were recognized, and the neutrality of Switzerland was formally recognized. The Coat of Arms of the Kingdom of Italy was used as the coat of arms of the Kingdom of Italy during the reign of Napoleon as King of Italy. Second pale, a silver pale charged with the blue Milanese serpent of the House of Visconti. Third pale, the upper portion shows the lion of Saint Mark with a red cap on its head, while the lower portion shows the arms of Bologna. Inescutcheon, the shield is charged with a gold inescutcheon displaying an iron crown with six points inside a red border with eight silver rings. The heraldic shield is encircled by the collar of the Légion dhonneur. Above the imperial eagle rises a Napoleonic star, the eagle is surrounded by a green mantle that is lined with ermine and surmounted by a royal crown in gold. A more complete description of the arms of the Kingdom of Italy is as follows. Overall an inescutcheon bearing, Or an iron crown radiant, on a bordure Gules eight plates Argent, the shield encircled by the collar of the Légion dhonneur on the breast of an imperial eagle Or, within a mantle Vert lined Ermine, crowned by a royal crown Or. Imaginary representation of the alleged coronation of King Tomislav of Croatia. 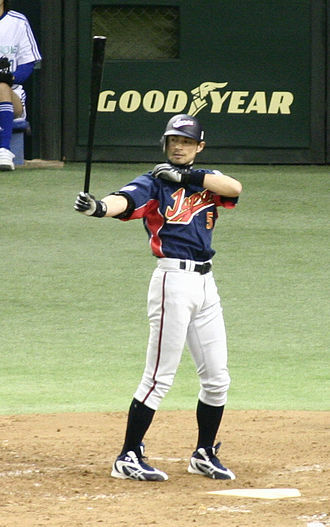 Historians dispute whether the coronation actually took place. Plate celebrating the laying of the first stone in 1386. Giovanni Antonio Amadeo on the "Amadeo's Little Spire". 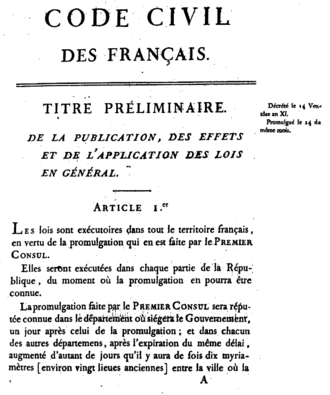 First page of the 1804 original edition. Field Marshal Heinrich von Bellegarde and his staff at the battle of the Mincio River, by Albrecht Adam. South-east frontier of France after the Treaty of Paris, 1814. The eighteenth-century Sala del Tricolore, now site of the Reggio Emilia Town Council. Here, on 7 January 1797, the first tricolor of the Repubblica Cispadana was adopted.